Sharifa Aunty was one of my Mum’s closest friends and a wonderful cook… Incidentally my Life Science teacher as well.. Since her pretty little house was right next to our school so, often i would hop skip and jump across the fence to find myself on her table.. What a wonderful cook she was.. 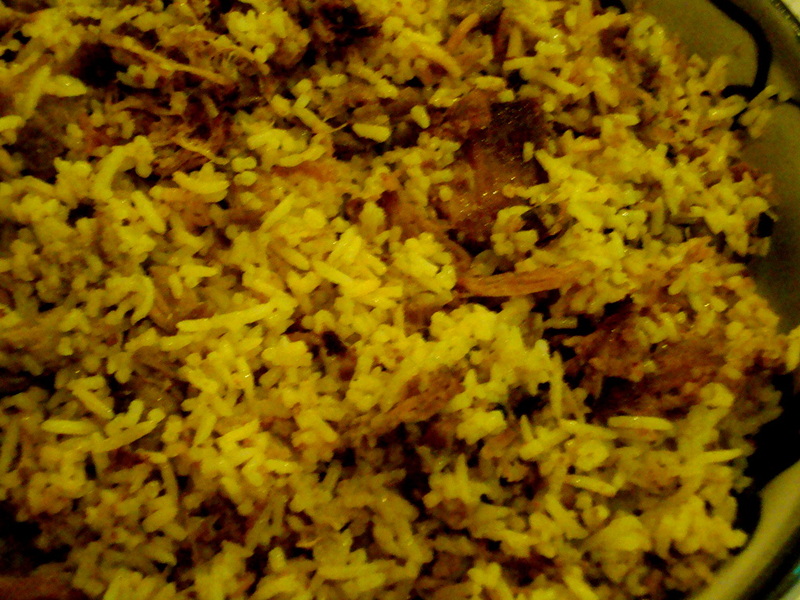 This year, when eid was approaching all I could think of was aunty’s Briyani. 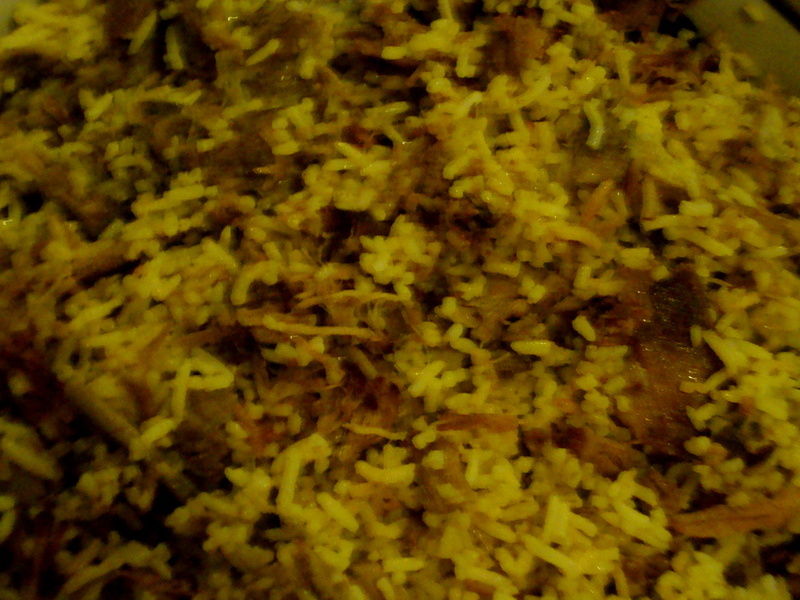 Though I have cooked Biriyani a fair bit , but this time it had to be Sharifa aunty’s recipe.. But she had moved back to kerala and I had no way of contacting her.. This is when facebook came to my rescue… Located her.. Called her up had the best possible gossip after ages.. She is the best story teller I have ever known and then I asked her for the recipe.. to which her answer was “are you that grown up that you can cook on your own?? Won’t you like to come and have Aunty’s cooking.” We started laughing and finally she gave me the recipe..
To be honest I was almost there with the taste.. 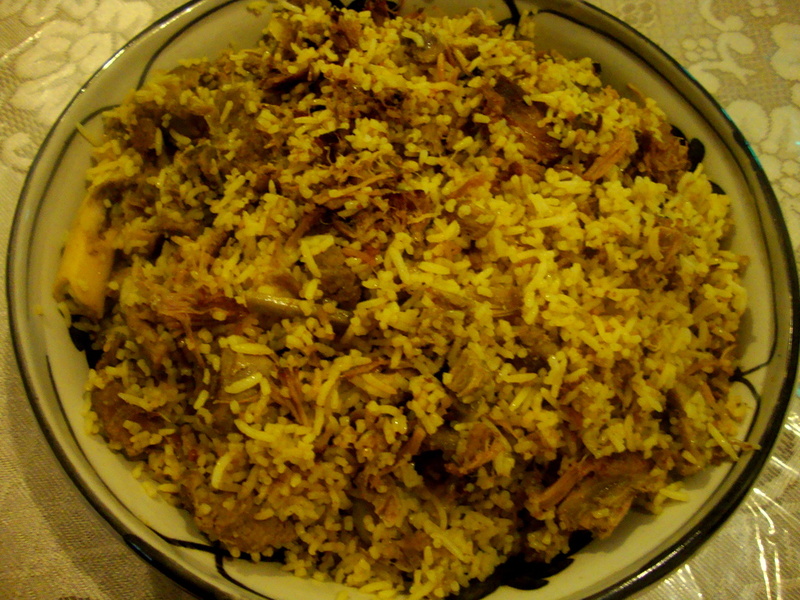 But Sharifa aunty.. ‘sThere was something about her cooking… Magical is all I can say…. Clarified Butter (ghee)- you would need a fair bit. Was the mutton and keep it aside. I a large heave bottom cooking vessel The aluminium pans with lid are ideal. take about 3 table spoons of ghee and add the ginger garlic paste. Fry it till the oil starts to separate. Add the whole spices and as soon as it begins to give out flavour, add the meat and the salt… Fry the meat for about 10 mins and to it add the yogurt mixed with yellow colour and 4 cups of mutton stock. Let it cook on slow fire till the meat is tender and the juices have dried to about a cup.